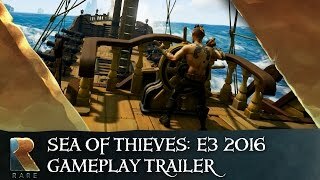 Sea of Thieves — массовая многопользовательская ролевая игра. Игроки берут на себя пиратов, путешествующих по морям в поисках сокровищ и участвующих в морских сражениях. В игре представлена возможность создания собственной команды. Sea of Thieves’ concept is beautifully drawn up. It has exploration, intense PvP and one of the most beautiful sea adventures to ever grace gaming, but it is lacking in content and it needs more reason to keep players moving and exploring. It has plenty of space on its plate for that, but in its vanilla form there’s nothing really to fill that space. I suspect that won’t be the case for long, if Rare has anything to say, but that is the current case now. 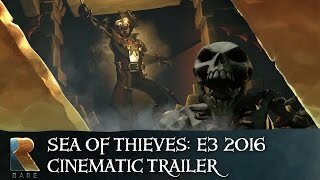 When Sea of Thieves clicks, most likely because you have a full galleon of fellow pirates to work with, it can create a rousing, fun experience whether completing a long voyage for the Gold Hoarders or even just sailing around, looking for any hidden secrets or loot. But remove that and becomes clear that you have a game with little in the way or content or variety. It’s still decent, of course, but it’s nothing to write home about without a group. As it stands at launch, it’s genuinely good fun with friends, but progressing to Pirate Legend is a long grind. Sea of Thieves needs a lot more briny depth before it’s the amazing voyage we’d hoped for, but so far the great cooperative moments are a good start. Sea of Thieves is bursting with potential for storytelling in a watery paradise, but doesn’t have enough to keep players coming back. Sea of Thieves has the foundation of an incredible experience. It is a true pirate game that simulates the experience of piracy perfectly. And yet, after those first few jaw-dropping hours, you’re going to start feeling less like Blackbeard and more like Blackbeard’s accountant. 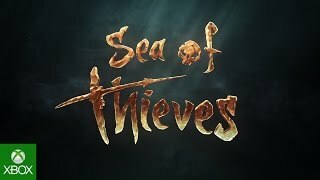 As it stands Sea of Thieves feels like a title that gets the ideas in place for an amazing game, yet fails to capitalize on them. There simply isn’t enough content to keep me coming back. I love Rare and I hope this builds into something amazing at some point, but for now this game is hard to recommend sinking a serious amount of time into. For now, it's a somewhat hollow game that can be fun for a handful of hours when played with friends, and something worth trying out if you happen to be an Xbox Game Pass subscriber. Even though it's hard to wholeheartedly recommend, I like enough of what I see to hold out hope that things will eventually improve as the game continues to be patched and updated with new content. Sea of Thieves’ world isn’t completely lacking in achievement, thanks to its luscious visuals and excellent sailing mechanics, but it feels completely undercooked in terms of actual gameplay. Perhaps ironically, Sea of Thieves feels like the skeleton of a game rather than a fully realized experience. Rare promises that more content is coming, but judging on what the game offers now, it’s a journey not worth taking—at least not yet. Компания Rare остановилась в полушаге от победы. 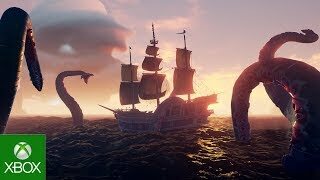 Они предложили соблазнительную концепцию, и многие играют в Sea of Thieves ради уникальной атмосферы, но, увы, совсем не ради собственно процесса. Здесь нет разнообразных миссий, системы развития, уникальных событий, достойных наград за победу над кракеном или командой вражеского корабля. Здесь нет ничего, ради чего хотелось бы играть дальше. Такой подход свойственен условно-бесплатным играм в раннем доступе, но продавать такое за полную стоимость — преступление.